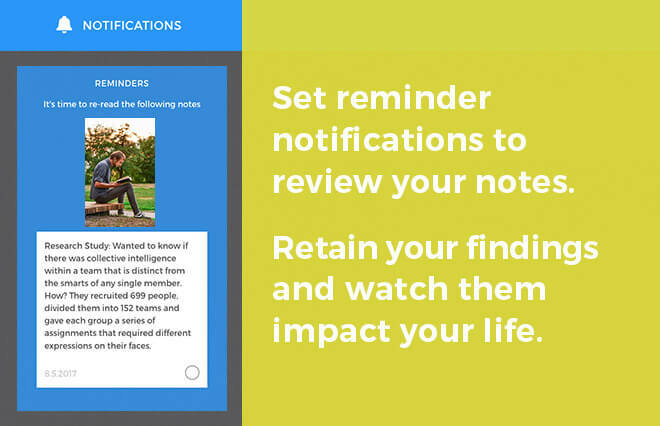 Noted App – Retain what you read. In the age of distraction, it can be difficult to fully retain and comprehend everything you read. By making your reading experience more active, you better retain information and can focus your efforts on applying the learnings from your book in a meaningful way. Enter NOTED™ – the app designed to help increase book retention, while creating a quick reminder guide for your reading material. 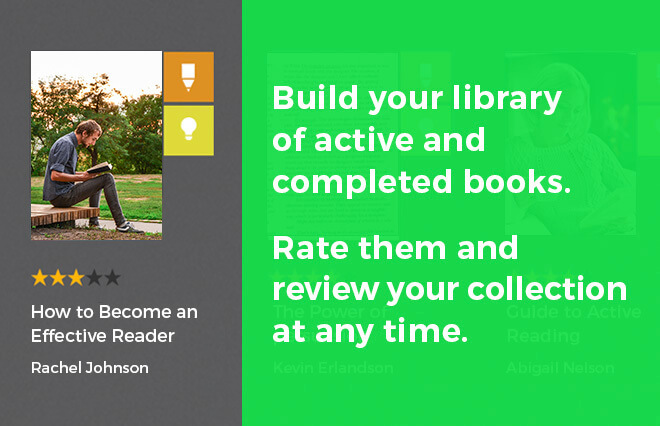 Build your library dashboard of active and completed books. Set goals for how many books you’d like to read. 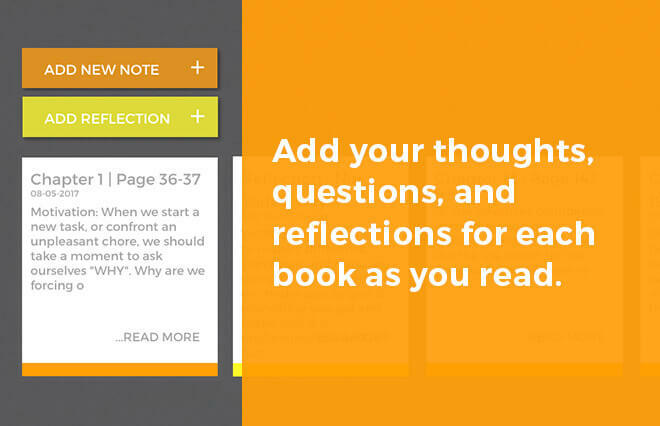 Add notes and answer reflection questions as you read to help you think more deeply about what you’ve read. Set reminders to go back and review your notes. Repetition is key to reading retention. Reference key ideas from your readings for meaningful applications in your life. Noted™ is an easy to use application created by an avid reader and designed just for you. Immerse yourself in your reading experience. Record ideas, questions and thoughts while you read. Retain findings and watch them impact your life. 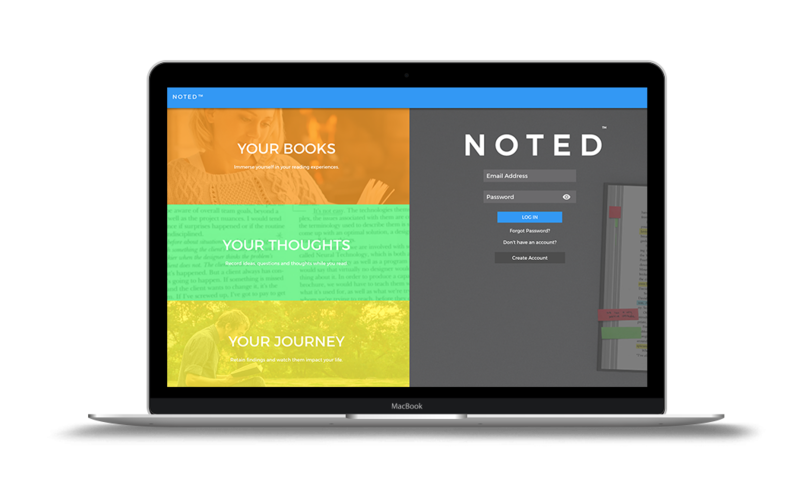 Your journey towards increased literacy retention starts with NOTED™. © N O T E D™ Retain what you read. All rights Reserved.